Save-the-date? Check! Dancing shoes? Check! That can only mean one thing — you’ve landed a spot on a wedding guest list. 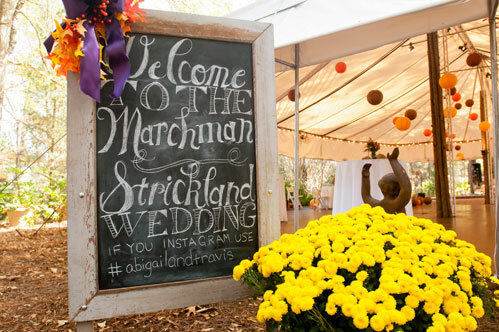 Between sips of champagne and the Electric Slide, you’ll want your camera at-the-ready to capture memories you can share after the wedding has come and gone. While it’s tempting to get snap-happy, it’s still extremely important to remember that the professional photographer will assume the primary role in capturing every major highlight and moment from the day. However, you can capture plenty of lovely moments — without disturbing the photographer’s shots — by using these simple tips. Hashtag It. Hands down, this is the easiest — and most enjoyable — way to get in on the photo action. Simply ask the bride if she’s crafted a hashtag for the day and start tagging away. That way, the couple will have the advantage of seeing what all their friends are experiencing, and you’ll be in-the-know on the goings on of the day. Get Camera Savvy. You’ll be seated for the majority of the ceremony, so try using the zoom function on your smartphone or bring along a camera with an optical zoom function to grab memorable moments. The result is an image that’s more engaging than your standard snapshot, and you’ll capture it without disturbing other guests or distracting the photographer. Be Smart with Your Shots. 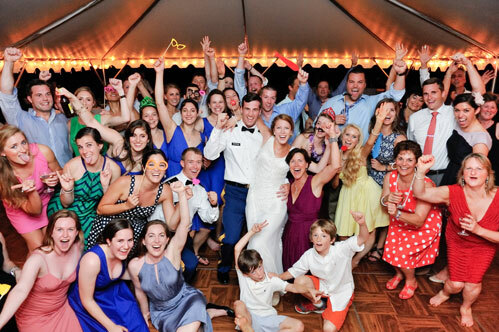 Whether it’s on the dance floor or at the dinner table, capture memorable behind-the-scenes moments with your friends. Also, as a general consideration, try turning off the flash and rely on natural light when snapping photos, as flash may interfere with the professional photographer’s shots. A simple rule of thumb? If it’s already bright, you probably don’t need the flash. Try a Different Perspective. Since the photographer will need access to prime shooting points throughout the day, you’ll have limited variety in where you can take photos. Why not put your creativity to use? From a stationary vantage point, test out different angles and focal points. 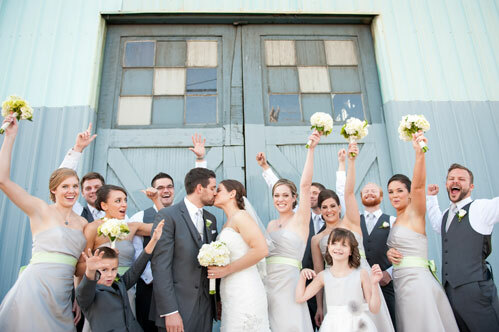 The newlyweds will love seeing the moment captured from a different perspective! Enjoy the Moment. Whether it’s during the ceremony or the father-of-the-bride speech, you may be tempted to hop up with camera in-hand for every single moment — after all, your friend’s wedding is so beautiful and you want to remember it forever! Still, it’s important to take time to celebrate the day with your friend and the rest of the wedding guests. At the same time, keep in mind that it’s the professional photographer’s role to document moments from the day. So, put the camera down and experience the moment, too. Most importantly, remember the couple has hired a professional photographer to tell the story of their wedding day, so be courteous and conscientious — even if that means stepping out of the way so they can get the shots they need. With these tips in mind, you’ll be able to snap memorable photos of your friends’ wedding, while still enjoying the day’s festivities!